There is an array of other DC parts that you can drive with the circuit design above such as solenoids, many LEDs at one time and electromagnetic relays to name a few. The primary characteristics that you need to look at are can the TIP chip handle the current and voltage you are switching. Always get and read data sheets on the part you have, to make sure you are not exceeding maximum voltages and amperage. drivers are valuable and easy to use for interfacing between 5 volt TTL (transistor, transistor, Logic) and high-current loads. These things can be driven off of many different control platforms. 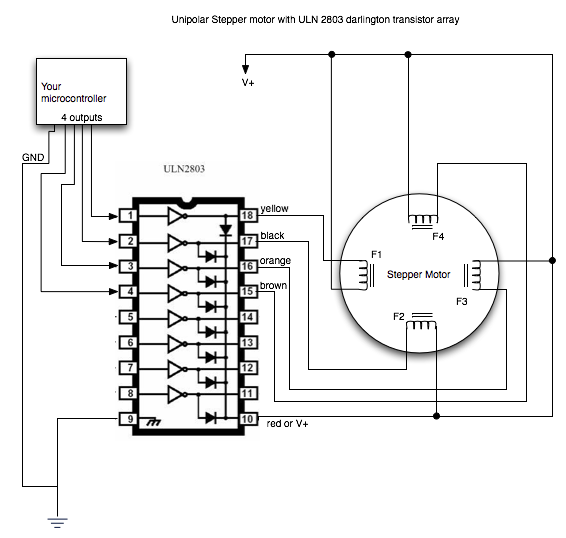 In the example below I show how to use a Miditron to drive a stepper motor in two directions. 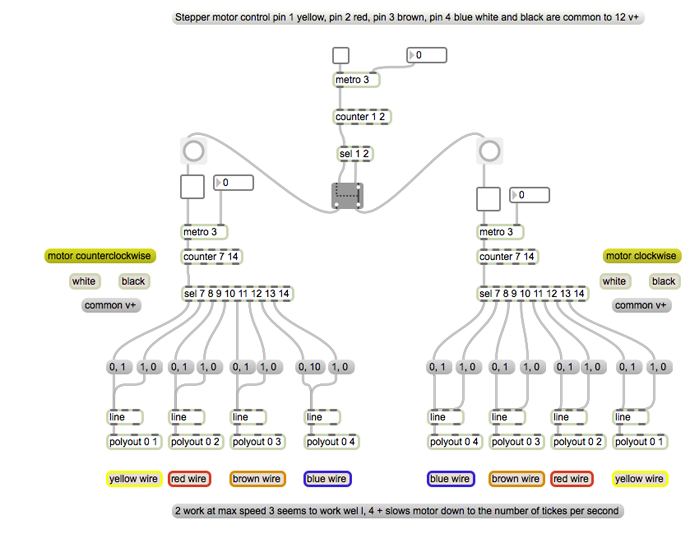 The MAX MSP patch will help to get your started. 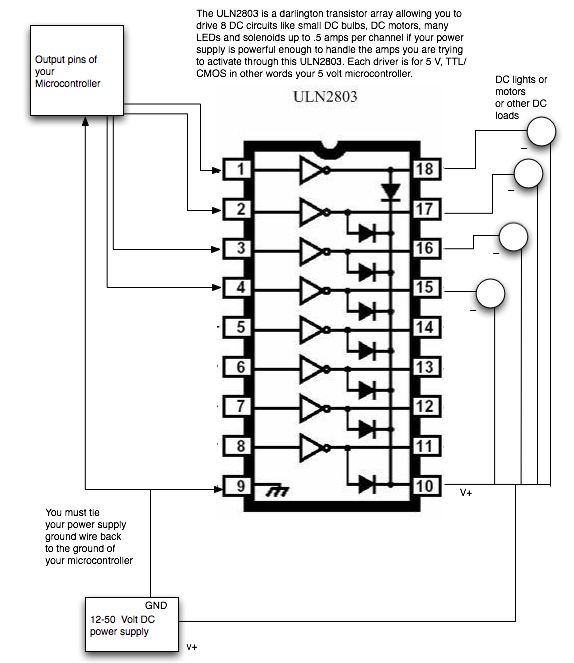 This is how you would use the same uln2803 to control a 5 wire unipolar stepper motor. Here is a MAX MSP Patch to drive a 6 wire stepper motor with black and white connected to positive 12 volts DC. This is what the MIDITRON Driver would look like to configure all your pins 1-4 to outputs. 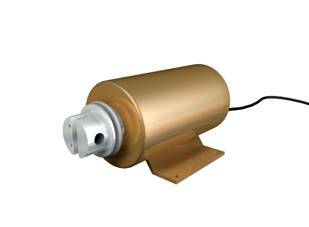 Solenoids are linear actuators and the metal pins that go into the electromagnetic coils will move about 1/4 to 1/2 inch. To increase these distances, you can use a levering action. 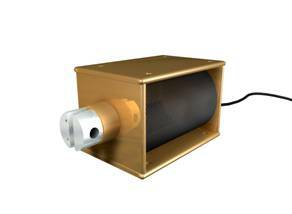 These loads can include solenoids, lamps, relays, stepper or servo motors and LEDs. In this chapter you have learned that DC gear head motors are important devices for driving kinetic objects and activating interactive installations. In the works of Jeff Carter and Susan Giles they employed a device called a brush system to allow power to come into a continually spinning CRT screen revealing video footage. Gregory Barsamian artist web site.